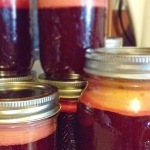 Beet-Carrot-Apple Juice – Dr. Melissa Lee ND., RAc. Dr. Melissa Lee ND., RAc. This one is a great juice for the spring or summer time. Put through juicer and juice! You will need a juicer for this. Copyright © 2019 Dr. Melissa Lee ND., RAc.. Powered by WordPress. Theme: Spacious by ThemeGrill.